An unfortunate side effect of common dental phobia is an unhealthy mouth and an unhealthy body. Dr. Joseph Valle sees patients with dental fears nearly every day and he can offer you a range of comfortable and relaxing options! Ask us about conscious sedation to help relieve the stress of some cosmetic dentistry procedures. We also provide dental implants, cosmetic dentistry and teeth whitening. If your dental anxieties have kept you out of the dentist's chair for too long, you'll be happy to know that we can usually correct years of dental problems in just one or two visits with sedation dentistry. Stress-free dentistry at Santa Cruz Dental Care can give you back your dental health! With modern sedation dentistry options, both routine and extensive dental treatment can be comfortable and relaxing. You can make an appointment for Santa Cruz County sedation dentistry by calling our friendly staff at (831) 423-2400 or by completing our easy online form. We're committed to providing you with quality, affordable dental care! If you're looking for a trusted sedation dentist in the Santa Cruz area you don't need to look any further. Joseph Valle, D.D.S., offers quality sedation dentistry that Santa Cruz residents depend on for experienced and professional dental care. Sure, not getting regular checkups may make you less kissable, but did you know that studies have linked heart attacks and strokes to gum disease associated with poor oral hygiene? 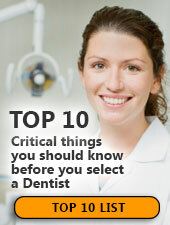 A trip to Santa Cruz Dental Care every six months could reduce your risk of serious health problems. Don’t wait any longer to schedule a checkup with Dr. Joseph Valle. Call our office today at (831) 423-2400. You may or may not realize that you're screened for oral cancer during your regular dental cleanings at Santa Cruz Dental Care. According to the Oral Cancer Foundation, an American dies of oral cancer every hour of every day. It's a sad proposition, especially when you consider that it is highly curable with early diagnosis. So if you’re not visiting the dentist regularly, please call our office today at (831) 423-2400 to schedule an appointment with Dr. Valle. Regular cleanings and check-ups and daily brushing and flossing are key weapons in the fight against these conditions so call Santa Cruz Dental Care today at (831) 423-2400 to schedule a checkup soon.